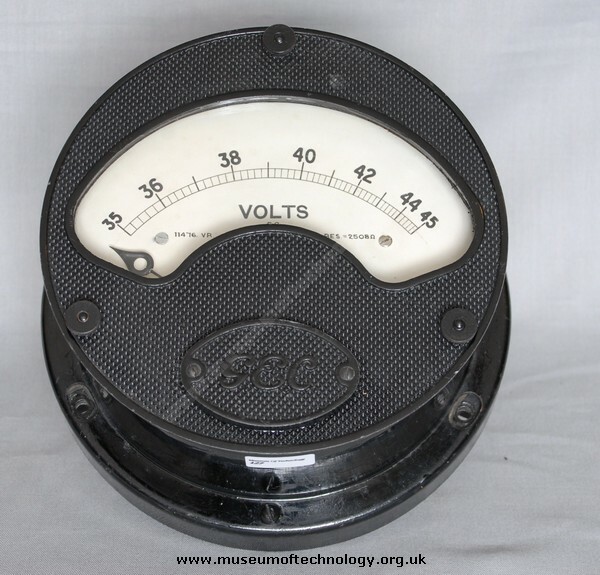 this is my third attempt to give you this info.I purchased one of these meters and a ammeter to match from a reclaims yard, they were in a sorry state, but now fully restored and look great on a mahogany plaque. Have been told they came from Nottingham power station. This meter has a 'Moving iron' mechanism. Note the closer scale markings at each end of the dial, typical of such instruments, compared with the linear scale of 'Moving Coil' instruments. It also has a 'suppressed' zero and was probably used to monitor the output of a small generator or other voltage source.